Lots of Kashmiris and Pakistanis were expecting Foreign Minister, Shah Mahmood Qureshi to give a stern warning to India and the world community that the patience of Kashmiri and Pakistani people was exhausted and they would no longer tolerate the occupation and killing of Kashmiris. He was expected to say that a war in the sub-continent is around the corner and given the situation, it may result in nuclear conflict, catastrophic for the two nations already seething in poverty. Much to their disappointment they found none of what they had expected of Shah Mahmood Qureshi. Rather, his speech was sombre, to the point, detailing the tragic Kashmir situation, human rights violations by the occupation forces, killing of over a 100,000 innocent citizens leaving behind widows and orphans; reducing Kashmir to a killing field. The intermittent violations of the Line of Control with constant threats of surgical strike has left Pakistan, no other option but to be battle ready, to thwart any aggression. Foreign Minister Shah Mahmood Qureshi is no novice in foreign affairs. He has a gift of the gab and is educated enough to understand the currents, cross currents and under currents of international politics. In his otherwise enviable career, the stigma of his changing political loyalties, is hard to be dry-cleaned and remains an albatross round his neck. It was martyred Benazir Bhutto’s first government that we came across him at the meeting of the National Finance Commission. We found him to be a very articulate provincial finance minister, whose presentation of Punjab’s case impressed Prime Minister Benazir Bhutto. Indeed Chief Minister Nawaz Sharif was lucky to have him as Finance Minister in the provincial cabinet with a whole team of ministers amongst whom intelligence was no virtue. As a matter of fact, Shah Mahmood Qureshi soon found himself to be misfit in the company of political buffoons. Not leaving far behind the traditions of his family to seek greener pastures in politics, Shah MahmoodQureshi realised that his fortunes and political ambitions would be better served under the dynamic leadership of Benazir Bhutto. Being a square peg in a round hole in PML-N he decided to switch his loyalty to PPP. He remained steadfast to the party throughout General Musharraf’s dictatorship. His performance as Finance Minister Punjab had made his services valuable. Prime minister, Benazir Bhutto appointed him as a Federal Minister in her second government. 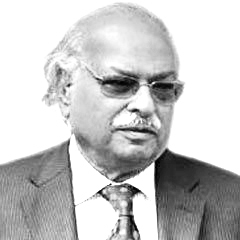 Following the fall of General Pervez Musharraf and PPP’s victory in 2008 elections, he was one of the favourites to become once again a federal minister. President Zardari honoured him with the office of the Foreign Minister. Since I worked with him as High Commissioner of Pakistan to the Court of St. James, I found that he believes in hard work. Not dependent on the official note taker, I found him to be meticulous in preparing his own briefs. His political ambitions were urging him to become prime minister. However, President Zardari who was keen to boost the agriculture sector and have it upgraded to modern lines, picked up Shah Mahmood Qureshi as the Food and Agriculture Minister, since he had academic and other qualifications in agriculture. However, Shah Mahmood Qureshi had other designs. As Foreign Minister, he had been close to the establishment, since it is they who dictated the foreign policy. Being a shrewd politician he could read the direction of the political wind and Imran Khan was emerging as a blue eyed favourite of key manipulators such as Lt General (R) ShujaPash. Then emerged prime minister, Nawaz Sharif, whose style of governance, seemed like the rebirth of Maharaja Ranjeet Singh, a former ruler of Punjab. Established powers did not approve of Mian sahib’s Indian centric foreign policy and business dealings. In short, Mian Sahib cooked his own goose. Obviously with a plethora of corruption charges against him he was disqualified by the Supreme Court on a judgment that many legal experts, believe was faulty. Shah Mahmood Qureshi is perhaps the most proficient leader in Imran Khan’s PTI. There were speculations that if Imran Khan, along with Nawaz Sharif was disqualified; PTI had no leader other than Shah MahmoodQureshi to become the prime minister. Many of Imran Khan’s critics believe that had Shah Mahmood been prime minister the PTI government would not been marred by so many about-turns and blunders so early in its tenure. In short, Shah Mahmood Qureshi has made his mark in the UNGA. It has to be seen if he could be the master of foreign policy unlike previous ministers and as he claimed that now onwards it would be the Foreign Office that would prepare the Foreign policy – it would be too good to be true. One hopes that foreign policy would be the stranglehold of the inactive mode into effective a pro-active mode to earn Pakistan its rightful place in the comity of nations.